This sample motion protects you and your child. It attacks the problem at its core. Family courts are regularly violating the rights of children and their parents by blowing past the very laws that limit their discretion. This sample motion provides explanation and training for getting this in front of your judge before the court makes you bankrupt and takes over your life. The family courts have created a scheme to skirt the protections that your rights provide you. This motion peels back these layers by revealing to you and your attorney what they are doing and how they are avoiding applying your rights in your divorce or child custody trial. This sample motion tells them to stop and protects the record. Use it or lose the protection of your rights. Use it to help you get justice in an unjust process. Not a substitute for the advice of an attorney. 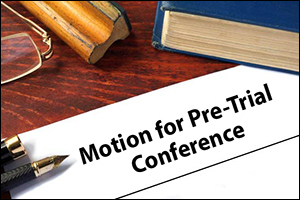 A pre-trial conference motion that shuts down the abuse of power by the family court by challenging the presumptions the court will make if you do not request a pre-trial determination of questions of law. The court will spend your money by conducting investigations and appointing GALs and Amicius. The attorneys will spend your money by conducting more discovery than necessary. 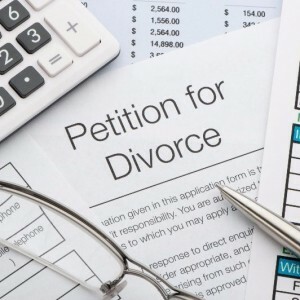 Your ex will spend your money by imposing child support and alimony. 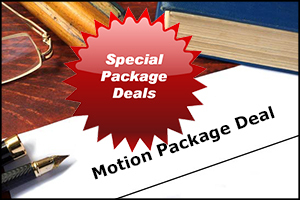 This motion is more than a motion, it provides you with explanations and example rules for getting this motion in and heard. A method to resolve issues before they become part of expensive litigation. Your attorney will continue to require refreshes on their retainer every time they have to investigate and litigate a claim. This motion content helps you challenge the type of claims that can be litigated by asking questions of law that normally get ignored. Once you resolve that the other parent has no right to sue you over the custody of your child, you can reduce the number of issues that have to go before the court. The less you have to fight over, the less it costs you. Asking these questions in advance can prevent injustices and help you challenge the power of the court before you are dragged through this process for years and driven into bankruptcy. A method to get equal time with your child and to support your child directly without the threats and fears of the family court punishing you for lawful choices. Spend your time with your child and on building a new life with your child instead of on your court case, instead of fighting the court, fighting your ex, and many times fighting your own attorney. Regardless of whether the other parent agrees or whether the court agrees, you have a right to make the decisions that you feel are right for you and your child as long as they are lawful. This motion helps you challenge the court and helps reset your attorney if they disagree. Give your court opportunity to address your questions of law and resolve the issues prior to trial to prevent manifest injustice. The presumption that your rights are now held by the judge and can be restricted. The presumption that the court takes over your checkbook and can spend your money for you. The presumption that you have no more privacy and the court can interrogate you and investigate you. The presumption that the court can appoint investigators to invade your privacy just because you and the other parent no longer agree on how to raise your child. Your rights protect you and this motion shows you, the court, and your attorney how. 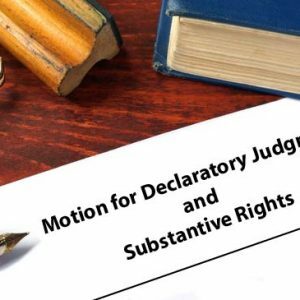 This motion differs from the other three in the declaratory judgment package, because this one is used before those and challenges the presumptions. The other three motions are designed to be used after this one, if necessary. The other three go into more detail. Regardless of whether you use the other three, you need to read them, understand your rights, and be prepared to argue. Get the motion today and change how the family court is handling your case. Most parents get steam rolled through the process and are not provided the opportunity to utilize the full court process to protect themselves from attacks that will come in the form of court authority if their case is not framed properly. Now you have a new, simple, direct, fast way to fight back. Courts regularly spend your money on guardians ad litems and amicus and add discovery that otherwise would not be allowed constitutionally. This motion will help you question these practices and help you preserve the record to challenge them if the court continues to abuse its power. Most attorneys are not providing this service. If you want this service you will have to provide your attorney with these materials and guidance. This document is simple, fast, and direct. Use it before the courts start creating unnecessary expenses and delays on you. Use it now to stop the continuation of expenses and to stop the growing costs being imposed on you. If you want to ever be free of the family court and your ex exerting power and control over you, you have to assert the rights that protect you and your child now. This is something your attorney is not going to do otherwise and is not going to tell you. Parents regularly hear their attorneys and judge say that the constitution does not apply to them, and that their rights don’t apply, or that they are only thinking of themselves and not the best interest of the child. Well now you have a motion to help you shut those false presumptions down. This motion shows you how to demand that the court recognize the constitutional guarantees that must be provided by the court before your rights may be infringed. Your rights must be protected at the strictest constitutional scrutiny and this motion demands it. Use it or lose the protections your rights provide you. This sample motion is an aid to training parents about the legal process and constitutional arguments that may be raised in family law courts. It is intended to facilitate a conversation between a parent and their attorney regarding the best way to protect the parent’s constitutional rights and to aid the attorney in addressing the issue of constitutional rights prior to trial and thereby reducing the issues that need to be resolved by a trial. By resolving these issues before trial, you can save yourself thousands of dollars in unnecessary trial costs. While this sample motion is written to comply with Texas rules as understood by its authors it is NOT a final legal document and may need alteration to meet the rules of motions in your state. 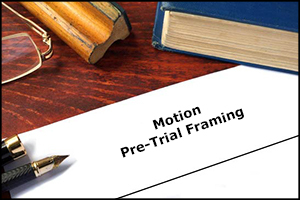 This sample motion is NOT a complete pleading document. This sample motion is NOT in final legal form. This sample motion is NOT a fill in the blank form. This sample motion is NOT legal advice.